I grew up in a competitive environment with two brothers and a slew of other boys in our neighborhood all around the same age. I remember spending the summers playing baseball, basketball, or a game we made up until our parents made us come home for dinner. By playing basketball with my brothers, I learned at a young age that I hated losing, and I learned how much hard work it took to avoid it. I loved competition and it drove me. It was at that time that I needed to make some changes. Early in my career, it was easy to let the power go to my head. I think it was that competitive nature of wanting to be the best and to win, but not knowing what winning really meant. You see, I felt like success was about what I could accomplish, and I’m very thankful that I had a friend who was willing to tell me the truth. Since that day, I’ve taken an entirely new approach to management. I now realize that success in leadership isn’t about what I can accomplish; it’s about what my team is able to accomplish. It’s about seeing both personal and professional growth in my staff. 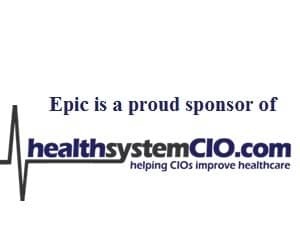 It’s about a team working together to accomplish things like meeting Meaningful Use requirements or becoming a HIMSS Stage 6 hospital. My job is to foster communication, provide the resources my staff needs to do their jobs at the highest level, and provide guidance. I like this quote by Lao Tzu: “A leader is best when people barely know he exists. When his work is done, his aim fulfilled, they will say, we did it ourselves.” In my current role as CIO, I often find that the things I accomplish each day are not tangible things that I could go home and talk to my wife about. If I had a great day, it was in helping someone grow, or assisting in finding a solution to a problem throughout the organization. I have an incredible staff, and keeping them challenged and happy is mission number one each day.